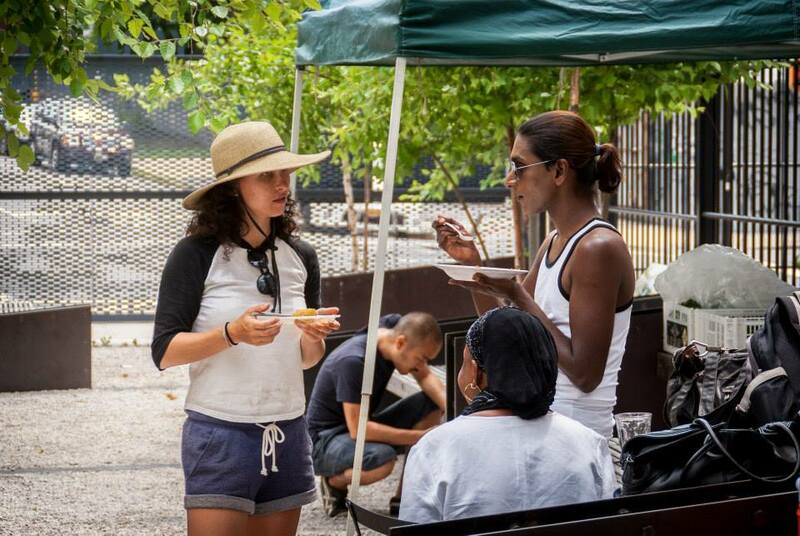 Interview I conducted for RIF with the Brooklyn Grange’s Alia Ornstein. I’m wandering amidst a sea of hot peppers – Hungarian wax, serrano, golden cayenne – when Alia Ornstein waves me down from the opposite end of the farm, her tell-tale floppy farmer’s hat distinguishing her from the rest of the Brooklyn Grange staff and trainees. She’s just wrapped up a meeting with a Grange partner and can now spare a few minutes to speak with me before returning to the important work at hand – the beds that need tilling, the chickens that need feeding, the CSA shares that need bagging.